Apps are empowering people with visual impairments in ways we could only once dream. There are apps that can read text on the go, identify people and products, turn cameras into magnifiers, summon live help, and light the way. Here are some apps you should know about. 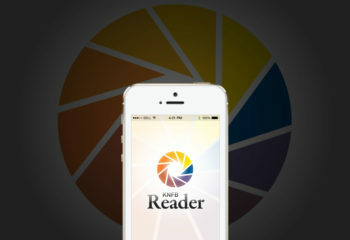 All are available for iPhone on the App Store and may be available for Android or Windows as well. Apps are free unless specified. A magnanimous gesture from Microsoft exclusively to iPhone users. This is actually five apps in one, and it’s free! The Short Text channel is the grand prize, point the camera and it reads signs, price tags, labels, addresses, and more. No snapping photos or waiting to process, just point and it reads instantly on the go. 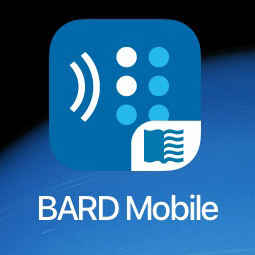 This app reads documents and product barcodes with VoiceOver. It can identify people using facial recognition which does not seem all that practical, but it is fun. And try the Scene channel to get a description of the environment you are in. 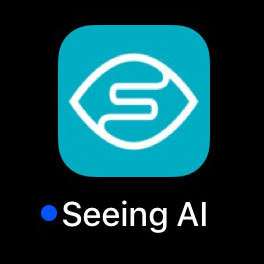 To learn more about Seeing AI, read our full article. So far, everyone agrees, this is an amazing app. Enjoy it, and remember, it’s a work in progress, just like the rest of us. Help Microsoft keep making it better by sending your feedback to SeeingAI@microsoft.com. 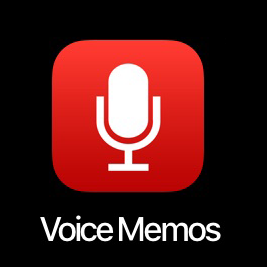 This app seemed totally worth the price, until a moment ago when Seeing AI became available, with its free document reader. There are some noteworthy differences. KNFB does not require a connection to the Internet to process; Seeing AI does. KNFB has its own reader; Seeing AI depends on VoiceOver. You will find that KNFB Reader is faster, as recognition is performed on your device rather than uploading it to the cloud. Keeping the processing on your device provides better security. KNFB can be set to read text in columns and tables; Seeing AI cannot. KNFB batch mode copies and saves multi-page documents; Seeing AI does not. In recent updates, you can make calls, send emails, and open links directly from documents. You can even contact someone from a business card. 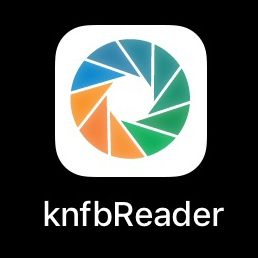 To learn more about KNFB Reader, read our full article. For questions or to send feedback, contact: support@knfbreader.com. Click to download the iPhone app or to download the Android App. 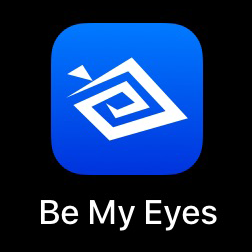 This app boasts an impressive 1 million sighted volunteers on call to assist its 80 thousand visually impaired and blind users in more than 180 countries. 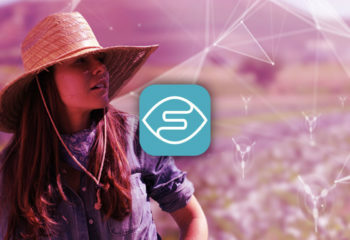 Tapping on the main page to “Call First Available Volunteer” will establish a live video connection enabling the volunteer to read or describe what your camera is pointed at. If you need help with an appliance, an electronic device, distinguishing items, or reading instructions, these volunteers are ready and able. No need to worry about being a pest, call as often as you need. The wait for a volunteer is estimated at 30 seconds, and that’s pretty hard to beat! 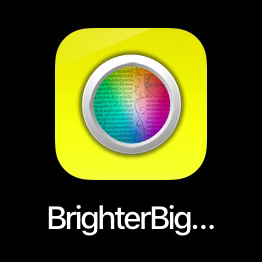 Just as the name says, this video magnifying app gets up to 20x bigger, with options for brightness, reverse, clearer and freeze. This makes the app perfect for reading fine print and bringing objects into sharper view. The “Brightness Reverse” and “Monochrome” modes are especially ideal for people living with cataracts and low vision. Thanks to the vast improvements in mobile cameras, these magnifying apps are as good as the portable versions we once had to pay big bucks for. Opens with Siri command. 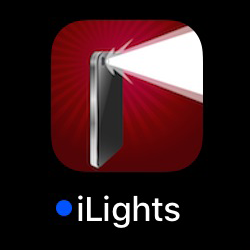 Adjustable light and blinking strobe can be conveniently turned on by asking Siri. Now you know where the flashlight is when you need it. If you are registered for the National Library Services Talking Books program, consider going mobile. 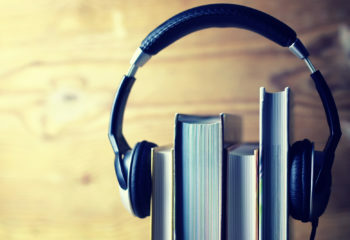 It takes a bit of time to set it up and requires patience as you learn to navigate this, sometimes cumbersome, app, but book lovers with visual impairments absolutely love the totally free access to audiobooks. To learn more about NLS, read our full article. Always good to have a digital recorder on hand. We used to spend hundreds to have one in our pocket, now it’s sitting right in our phone for free. High-quality recording, 3 button interface. Trim, save, and share options. App comes with your iPhone. Originally published on November 17, 2017 and updated on August 3, 2018.